A water company has replaced an Israeli-built meter in the home of a customer who objected to the ‘repression of Palestine’. Caroline and Edmond O’Reilly asked Southern Water to replace the device because the manufacturers, Arad Technologies, are accused of ‘profiteering’ in the West Bank. The company has now agreed to install a second-hand appliance built by a different manufacturer. Pro-Palestinian campaigners claim the decision paves the thousands of other customers to object to the meters on ethical grounds. Mrs O’Reilly, of Brighton, East Sussex, said: ‘The letter said they would be round to change my meter this week because of my concerns over its origin. Mrs O’Reilly said her objection was based on the Israeli Government’s alleged incursions on to Palestinian land and Arad’s connections with the government. She said: ‘Since 2000 the Israelis have systematically destroyed the Palestinian water supply infrastructure and Arad supplies the Israeli government. 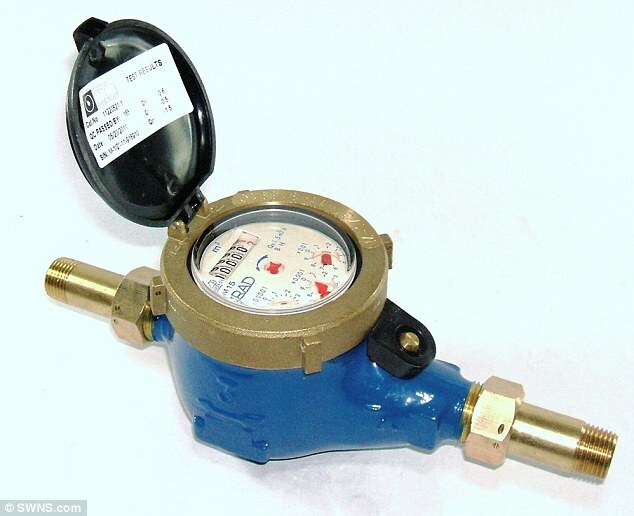 Arad Technologies are said to have installed 3,200 water meters in settlement industrial zones in the West Bank. The Israeli company secured a £36 million contract with Southern Water in February 2010 to provide meters, meter reading services and data hosting services across Hampshire, Surrey, Kent and Sussex. It recently announced plans to install 500,000 meters in homes across their region by 2015 in attempt to meet government targets to cut average water use from 148 to 130 litres per person per day by 2030. The cost of installing a meter costs the company up to £200 per house. A spokesman from the Palestine Solidarity Campaign said: ‘Southern Water’s offer of changing the meter paves the way for thousands of other people to have their meter changed if they wish. ‘It costs up to £200 to change a meter. How many people are going to want their Israeli meter out? Southern Water said this was the first case of its kind since 2010 and that their decision did not reflect a blanket policy. A spokesman for the company said: ‘A conclusion should not be drawn that this facility will be offered as an option to all customers. ‘Every customer’s complaint will be viewed on an individual basis so that appropriate decisions can be made. ‘I stress that in three years we have received only about a dozen such requests from nearly 300,000 meter installations and only one request has been agreed.